Replacing your windows is one of the best investments you can make on your home. Not only does it improve your house’s overall look and value, but it can save you money by making your home more energy efficient. 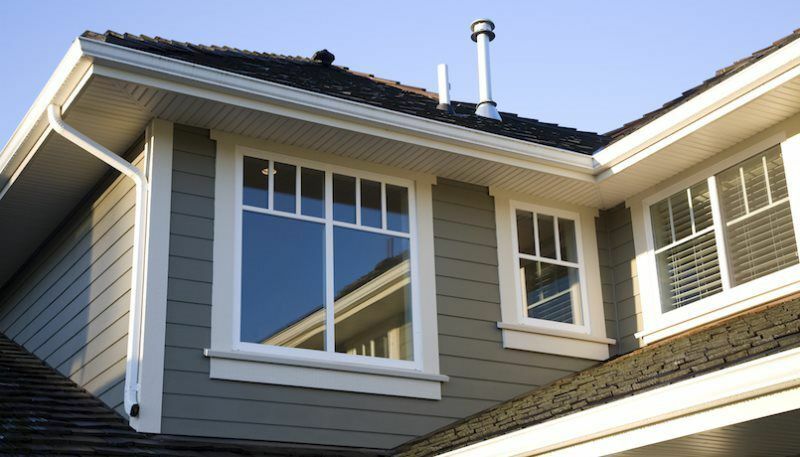 At Hoyt Exteriors, we carry a line of windows that can fit any house and budget. Best of all, our installers are highly trained and certified in safe procedures and proper window installation techniques. They are trained to match any interior with our wide variety of window options. But how do you know what material is right for your home? The window installation experts at Hoyt have taken the time to break down the different materials that you can choose from. The most commonly used material for window installation and framing, vinyl fits well with the look of both old-fashioned and modern homes. Offering great thermal performance, strength and insulation with little maintenance, this material is a great choice no matter what kind of house you own. They are also well suited to shield against wind and water infiltration and are energy efficient. Vinyl windows are easy and cost-effective to produce, making them a very low-cost addition to any home. Their versatility also allows for them to be colored in a variety of ways. From woodgrain finishes to almost any color, vinyl can complement the look of any house. When it comes to window installation, choosing fiberglass combines the best of many worlds. This versatile material offers great resistance to extreme heat and cold. The material is easy to care for and has a long-lasting finish that rivals most other materials on the market. With strength, insulation and energy efficiency that is comparable to both wood and vinyl, fiberglass is yet another great choice in window framing. The material can be finished in a variety of colors that are sure to match the look of your home. The only setback with fiberglass is that it is not very malleable, meaning it cannot be bent to fit the style of rounded windows or those with other complex shapes. For the wood enthusiasts, wood window frames are the perfect complement to both old-fashioned or modern homes. Most manufacturers treat their wood with complex formulas that offer excellent protection against the moisture, stains, decay and termites, all without sacrificing the material’s natural beauty. Although wood offers the same protection and thermal performance as other materials, it does need a bit of maintenance and upkeep to keep it looking beautiful all year round. Still, if you are looking for an elegant finish to your windows, wood is an excellent choice for homeowners. Finally, we have window frames that are made of composite materials. These materials are able to simulate the natural beauty of wood while offering the low maintenance requirements of materials such as vinyl. Composite materials, depending on the manufacturer, are generally made from blends of wood and plastic resins, some combine wood chips and recycled plastic. The resulting material is resistant to the elements and comparable in cost to other materials. When it comes to window installation, the only thing more important than choosing a material is choosing a company. At Hoyt, we pride ourselves in getting the job done right. There is no hassle and no stress, just hard work with incredible results.